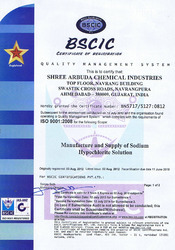 Since our commencement is in year 1984, we, “Shree Arbuda Chemical Industries” an ISO 9001:2008 certified company are counted among coveted organizations, engaged in manufacturing, supplying, trading and exporting a commendable range of Chlorine Solution, Industrial and Textile Chemicals. Our offered chemicals are widely acknowledged in the market for its attributes like non-toxicity, pure & safe to use, accurate composition, highly reactive, high performance, effective and longer shelf life. 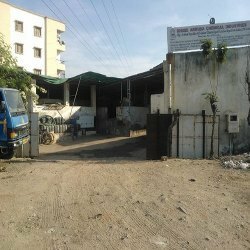 Known for the above mentioned features, our offered chemicals find their applications in various areas like disinfectant in hospitals, bleaching agent, oxidant & sterilizer, discoloring agent, deodorant, water treatment, food additive, disinfecting swimming pool, water parks & corporations / nagar palika / colonies, manufacturing API, water treatment, waste water treatment, house-hold bleaching and cleaning and effluent treatment. Having an experience of more than twenty years, we have developed state-of-the-art infrastructure facilities at our premises, which is spread across a sprawling area of 855 square meter. Our infrastructure is well equipped with modern tools and cutting edge technology, which are operated by our team of deft and adroit professionals. Our professionals take responsibility to execute our business tasks and achieve goals in a smooth and efficient manner. Some of our major markets are in India, East Europe & East Asia. Under the supervision and guidance of our mentor and partner 'Mr. Jivesh Marfatia', we have able to create a benchmark for our organization. His thorough knowledge, vibrant managerial skills and leadership quality has made us gain strong foothold in the market and maintain cordial relations with our clients. We are backed with the state-of-the-art infrastructure facilities at our premises, which is spread across a sprawling area of 855 square meter. In order to serve effectively to our clients, we have set-up two production units, sophisticated machinery and cutting-edge technology, which enabled us to process Chlorine Solution, Industrial and Textile Chemicals in a streamlined manner. Further, we maintain & clean these machines at regular intervals, under the expert supervision of our highly experienced professionals to endure hassle-free production. 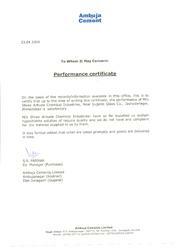 Shree Arbuda Chemical Industries has received performance certificate for for the excellent performance. 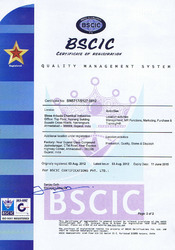 We supply supreme quality products and these products are delivered on time. Our organization is holds an experience of more than twenty years in manufacturing, supplying and exporting Chlorine Solution, Industrial and Textile Chemicals. These chemicals are formulated using high-grade ingredients and other basic chemicals. Further, these products are known for the features like accurate composition, non-toxicity, purity, stability and safe to use. We are eminent names engaged in manufacturing and exporting a wide gamut of Chlorine Solution, Industrial and Textile Chemicals. Appreciated for its features like non-toxicity, pure & safe to use, accurate composition, highly reactive and high performance, these chemicals cater the needs of different industry segments. Our organization is supported by a highly qualified and skilled industry experienced workforce, who assists us in formulating our range of Chlorine Solution, Industrial and Textile Chemicals. The professionals appointed by us are recruited after stringent analysis of their skills and efficiency, which enables us in implementing different strategic decisions. 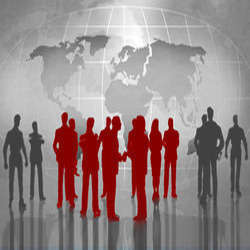 Further, our team-members work in close corporation among one another to meet the industrial usages. Also, minute studies are noted down and these chemicals are closely monitored to ensure its purity. Backed by twenty years of rich industry experience, we have developed a huge client base across the region by offering efficient range of Chlorine Solution, Industrial and Textile Chemicals. 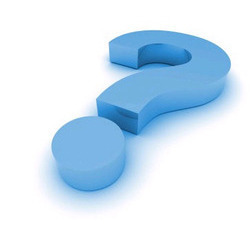 To maintain cordial and long term relations with our clients, our offered chemicals are formulated using superior-grade ingredients with the aid of sophisticated infrastructure facilities. Further, owing to our ethical business transactions, transparent business dealings and assurance to deliver our consignments on stipulated time frame, we have earned remarkable market respect over the years.